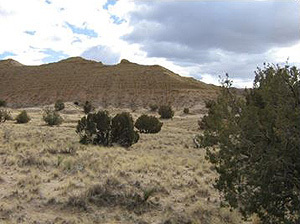 Between 2012-2014, GSA and Parametrix designed and implemented multiple livestock carrying capacity studies across nearly three million acres of Navajo Nation. 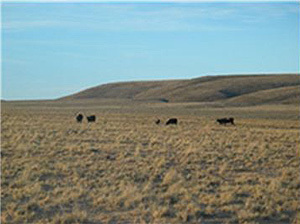 More than 1,500 vegetation monitoring transects were measured to determine forage production by plant species, assess rangeland health, and document rangeland trends. Range improvements such as watering facilities, roads, and fences were mapped over the project area and integrated into a geo-database. A combination of field data, regional forage palatability data, and Geographic Information Systems (GIS) were employed to calculate sustainable livestock stocking rates for the region. 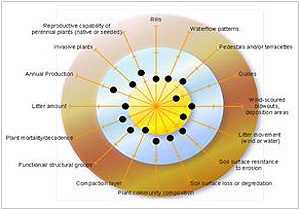 Prior to fieldwork, GIS was utilized to stratify project areas according to soil type, ecological sites, and grazing units; and then later utilized to adjust stocking rates by slope, distance to water, and other site conditions that effect livestock accessibility and grazing intensity. Stocking rates were calculated for various types of livestock. including cattle, sheep, and goats.